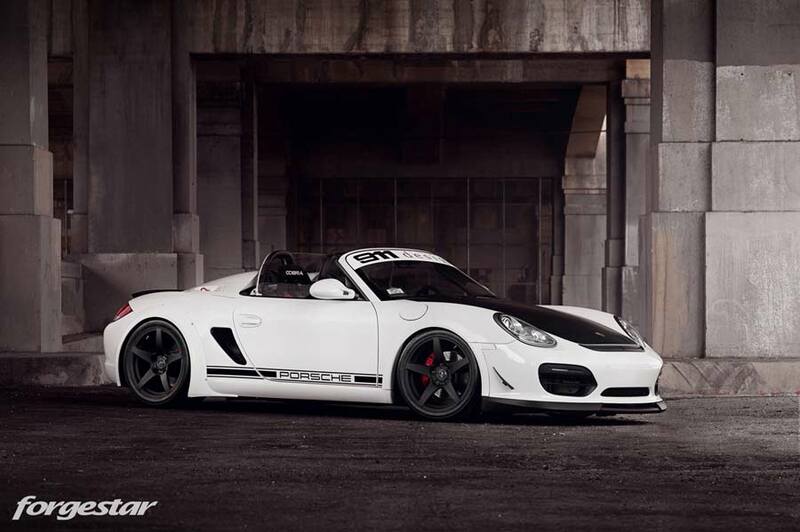 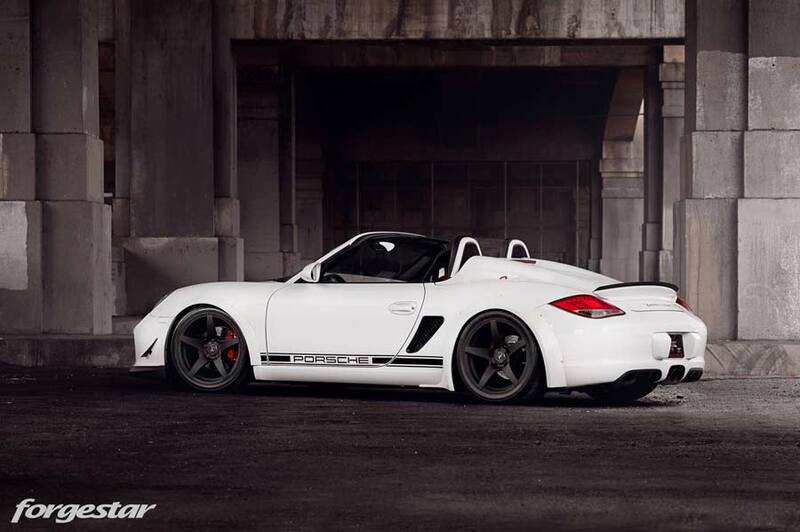 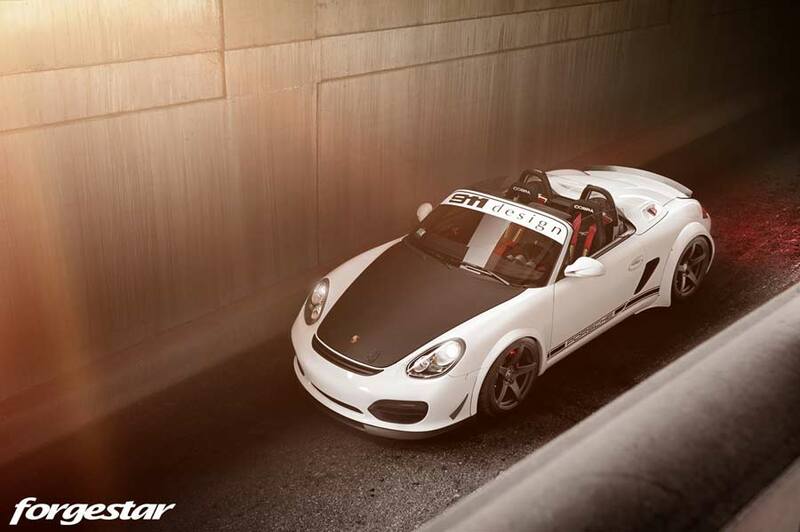 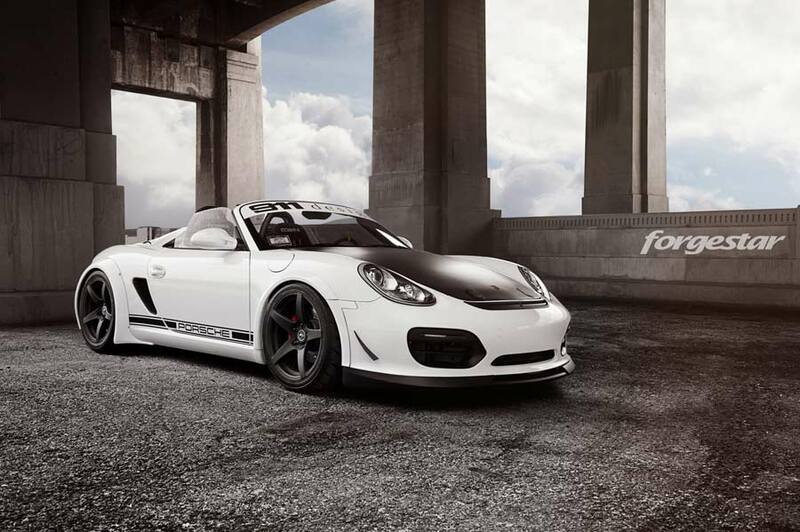 California-based Porsche specialist 911 Design has constructed this custom widebody Boxster Spyder designed by Will Yang. 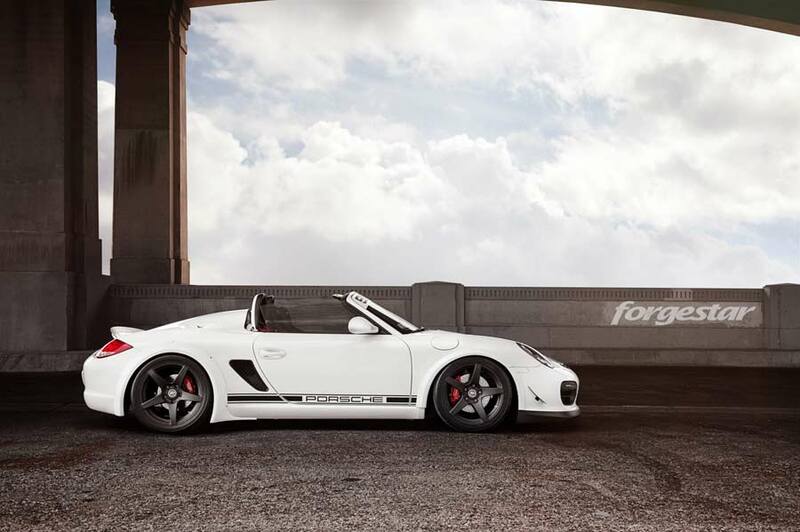 Taking inspiration from other models in the Porsche range, the Spyder wears a 911 GT2 RS-esque carbon fibre hood, GT3 front bumper vent and cool bolt-on arches in the style of the GT3 RSR racecar. 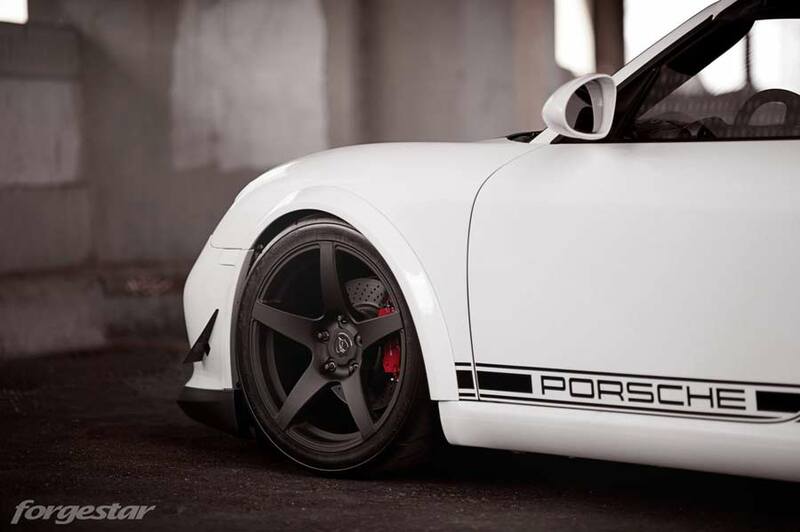 Other components include a pair of winglets on the front bumper, a Techart front lip and a gurney flap on the rear wing. 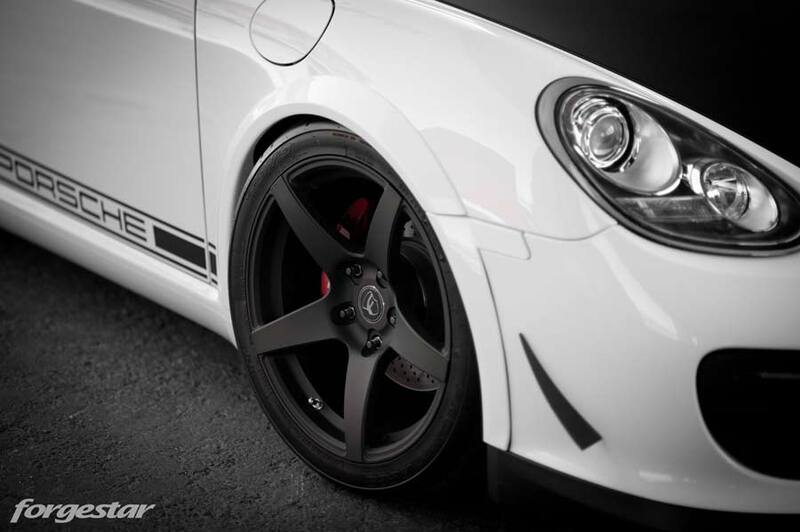 Completing the car’s look is a set of Forgestar Deep Concave CF5 rims. 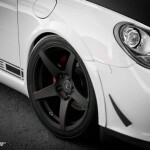 Sized 10 and 12 x 18-inches, the wheels have been powdercoated in a matte black textured finish.